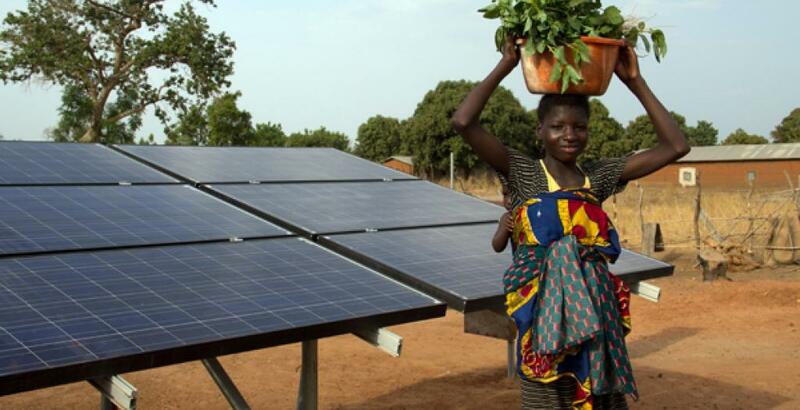 From 3-5 April, Hivos is participating in the Sustainable Energy for All Forum (SEforAll forum) in New York. The Forum is the landmark gathering celebrating the global sustainable energy movement. It brings together over 1,000 high-level representatives from government, business, civil society and helps drive action towards achieving universal access to affordable, clean and reliable energy (Sustainable Development Goal 7). At the forum, Hivos is organising several events related to this year’s theme “Going Further, Faster – Together”. Hivos sees progress towards universal energy access going too slowly and calls upon all sectors – public and private – to work together in speeding up the transition towards a world powered by renewable energy. You can follow all of Hivos’ activities at SEforAll Forum live on our global twitter account. To stress the urgency for action and underline the importance of partnerships, Hivos is collaborating with the Dutch, Nepalese and Kenyan governments, Schneider Electrics and SELCO India, as well as civil society partners ENERGIA and SNV, to organise a strategic workshop. The workshop ‘Accelerating Energy Access – are you in?’ centres around the question: How can we concretely create more strategic and deeper cooperation between all stakeholders to speed up progress towards universal, green and inclusive energy access, especially supporting the uptake of decentralised renewable energy solutions? As an outcome of the workshop, all co-conveners and participants will issue a communiqué (posted here in right sidebar on 4 April), agreeing to work together in achieving access to energy for all. At the SEforAll Forum Hivos is also organising a separate working session on the important role of civil society. This session, based on the new publication Ensuring Energy Access For All by ENERGIA, SNV and Hivos (download from right sidebar), showcases several civil society contributions in ensuring energy access. Among them examples of civil society’s role in driving energy access processes and providing valuable energy expertise to government. You can find out more about how we see civil society’s role in this blog post by Eco Matser. Our partner ENERGIA is also organising events on 3 and 5 April. Hivos’ participation in the SEforAll forum forms part of our Green and Inclusive Energy programme, a five-year programme that aims to influence energy policies and practices by executing effective lobby and advocacy strategies.